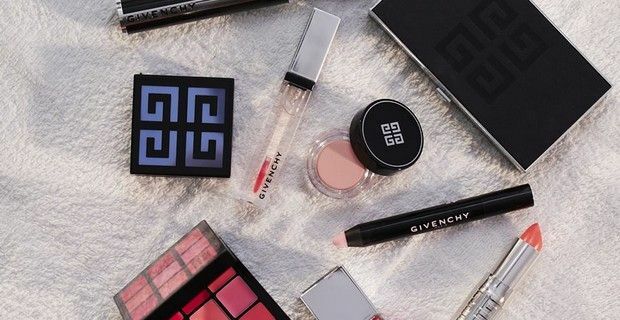 After a gloomy and very rainy winter we’re all ready to add some color to our wardrobe and makeup bag and Givenchy’s newest makeup collection ‘Over Rose’ is just the right choice for this Spring and Summer 2014. The collection is an explosion of pink that will instantly brighten up not only your mood, but also give your complexion a rosy glow, even if the color is often associated with girlish innocence, Over Rose can also give you a sophisticated look from tips to lips. The must of this limited edition collection is the fabulous Prismissime Euphoric Pink Lip & Cheek Palette, which has a creamy non-sticky formula and spreads easily, ensuring perfect hold and comfort. The palette contains a mirrored interior and three applicators in a built-in drawer - two for the lips and one for the cheeks, and the complementary cheek and lip colors can also be applied with your fingers. The palette offers nine fresh and rosy hues with fabulous names like Passionate, Loving, Youthful, Romantic, Tender, Childlike, Aphrodisiac, Sentimental and Dreamer. Other products in the collection include: the Rouge Interdit Shine lipstick No. 36 in Rose Sensation, with its unique formula that contains liquid crystal and pure sparkle pearls for a semi-transparent coverage and a satiny and subtle glossy finish. The lipstick is enriched with omega 3 and omega 6 oils, which have deep moisturising properties for optimum lipcare. Le Vernis nail polish No. 16 in Rose Addiction is the perfect nail varnish. In just one application, this high covering formula leaves your nails with a mirror-shine glossy finish. Mister Eraser Imperfection Correcting Pen is an eraser pen that instantly removes all traces of eye and lip make-up and it includes 3 extra tips for optimal use, and is suitable for all skin types. The Prisme Yeux Quatuor eyeshadow No. 86 in Rose Attraction is a four color palette in cheerful and bright pink hues with four different finishes. And then there is the Noir Couture mascara in Rose Pulsion. This unusual colored mascara is a dense pink with taupe accents for a different way of making up your eyes, and the perfect way to complete Givenchy’s Spring Summer 2014 collection.